Looking for a challenge to support brain health? 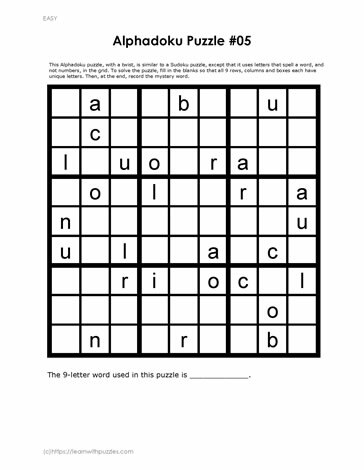 This alphadoku puzzle is created using a unique 9-letter word. Use basic Sudoku rules to complete the 9x9 grid. Logic reasoning and problem solving strategies also used to complete the puzzle. A great addition to your growing collection of fun, downloadable, and free puzzles.